AKIPRESS.COM - The Asia Foundation, in collaboration with Sant-Maral Foundation, released the results of its 17th Survey on Perceptions and Knowledge of Corruption (SPEAK) in Mongolia. SPEAK is an integral part of the Strengthening Democratic Participation and Transparency in the Public Sector in Mongolia (STEPS) project implemented by The Asia Foundation, generously supported by Global Affairs Canada. Building on an earlier semi-annual benchmarking survey under The Asia Foundation’s previous anti-corruption projects, SPEAK presents important nationwide perceptions of corruption at the household level, captures data on citizens’ perceptions of corruption, their actual experience of corruption at the household level, and grand corruption. Conducted in March 2016, the 2016 SPEAK survey conducted interviews with 1,360 households in eight districts of Ulaanbaatar and in 24 soums of six aimags. The survey revealed that corruption remains a major problem and more than 65 percent of respondents indicated that corruption is a common practice in Mongolia. 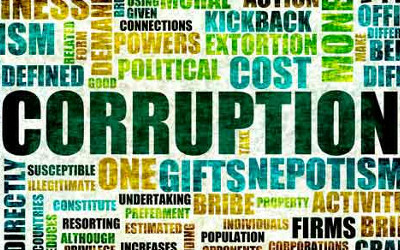 Political corruption is emerging as a strong concern. For the first time since 2006, political parties topped the list of most corrupt institutions. Until this year, the land authority had continuously led the ranking. Similar to 2015 findings, three political institutions are ranked in the top five most corrupt: political parties, parliament, and the national government. Perceptions of these three institutions have steadily increased since the March 2010 survey. The survey’s longitudinal design provides long-term analysis on changes and trends in perceptions and attitudes, and new information on citizen views on grand corruption. Similar to 2015, more than half of the respondents said that corruption has increased over the past three years (59 percent in 2015, 58.8 percent in 2016). Optimism about the next three years has grown, however. A quarter of respondents in 2015 indicated corruption would decrease in the next three years (24.4 percent) compared to one-third of respondents in 2016 (34.9 percent). Almost half of the population (48.1 percent) have difficulty estimating the impact of grand corruption. The average size of petty corruption bribes paid by Mongolian households has increased from 277,000 togrog (around US$138) in March 2015 to 336,000 togrog ($167) in March 2016. Respondents working in the private and non-government sectors report higher levels of unfair treatment from state institutions than respondents working in state offices and state service.